"If the church does not impact the community the church is in, then the church isn't doing its job," Royse City UMC Pastor Chris Everson told NBC 5 in a recent interview. "With us having the opportunity to make an impact, then we are doing what Christ has called us to do to — serve the least of these." Everson explained that his 200-member church has a tradition of donating their Christmas Eve offerings to charity. In 2017, the church split the offerings between a nonprofit and a nearby elementary school to help students get out of lunch debt. According to Everson, when a student in the district is $25 or more past due in lunch payments, that student no longer gets a hot meal from the school. They will still however receive a turkey or ham sandwich, a piece of fruit and milk. 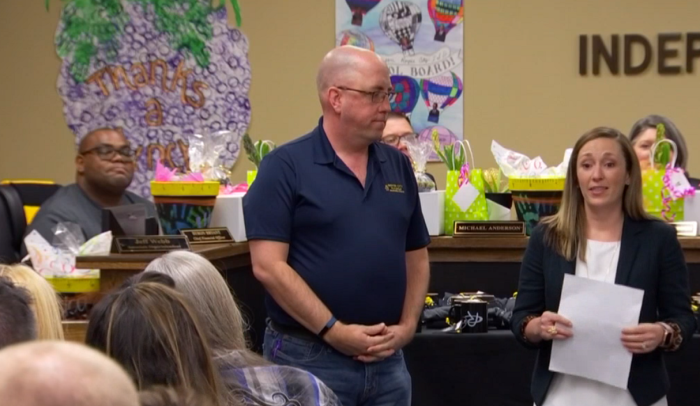 Adi Bryant, Royse City ISD's chief communications officer also told the network that 40 percent of the district's approximately 6,000 students receive free or reduced price lunches as part of the National School Lunch Program. "It really broke my heart to see there were students who were trying to learn, students who were trying to get through the day," Everson said. "Knowing the school did what they could to provide for them, but you need more than just a sandwich and a carton of milk to make it through the rest of the school day." Recognizing the difficulties some families have in securing lunch for their children, Everson said he approached his church in 2018 and asked if they could help the entire school district in 2018 and they agreed. The church raised more than $10,000 for the cause and gave the money to the school district last near Christmas. The donation paid off debts for students who were $20 or more behind in payments that represented 226 families totaling around $6,000. The remainder of the donation will go toward assisting other students in the future. "We didn't have to cry out and ask for this help, they saw that families needed support and they stepped in and did it," Bryant said of the church’s quiet donation which the district chose to announce on Monday. She further explained that she believes the church’s donation has taken a bit of burden off the families who were in debt. "I think it takes a little bit of the burden off of them when you feel behind on something and someone takes that away," Bryant explained. "You have a fresh start and it's a wonderful feeling. "This is for any students' family who may have fallen behind on their meal accounts and it could happen to anybody," Bryant said.